6 x 6 Sneak Peak gallery. . . The TCAAC will host the 2nd annual 6x6 Art for All Reception & Sale on Saturday, September 10th from 7–10pm. 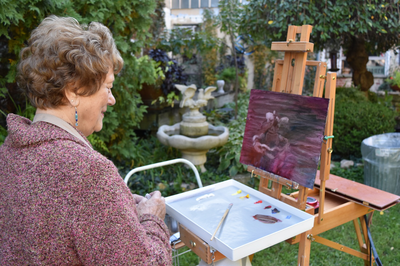 Start your art collection or expand an existing one at this fun, family-friendly event while enjoying an evening of music and light hors d’oeuvres. All artwork pictured here will be available for purchase at the event. Each piece of art is affordably priced at $20! Additional photos will be added as artwork is received. For more details or to purchase tickets, click here. ​Click here to view the Sneak Peek Gallery! 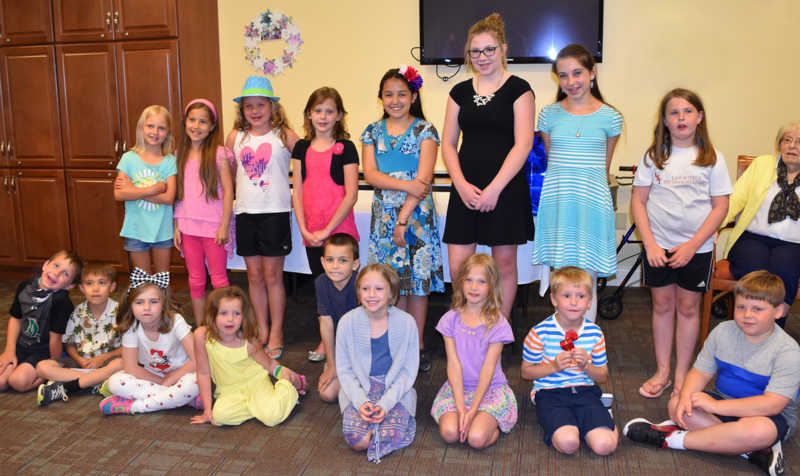 We would like to thank everyone who participated in this year's Poetry Jam. We received a lot of awesome submissions and determining winners is always a challenge. For those who submitted entries but did not win this year. . . please try again next year! Your work was wonderful. 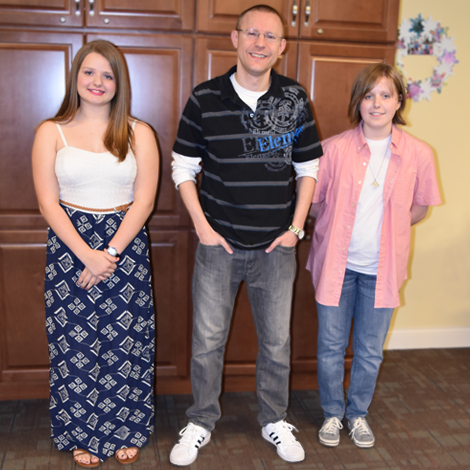 5th/6th Grade Category: Kristina Withem | Poem: "Shadows"
7th/8th Grade Category: Mollie Bretland | Poem: "She Is the Sun"
High School Category: Grace Hartman | Poem: "Whisper"
Adult Category: Adam Gibbs | Poem: "The Road Back"
TCAAC benefits from generous gifts! We are honored to have these folks in our corner. . . 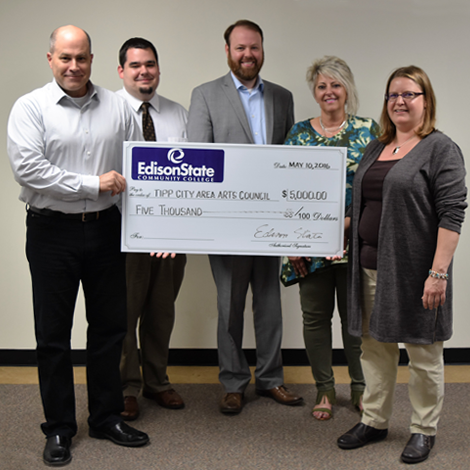 The Tipp City Area Arts Council was joined by presenting sponsors Edison State Community College and Thrivent Financial Associate Matt Buehrer, in addition to Marilyn Richards, representing the Tipp City Area Community Foundations, at their May 10, 2016 board meeting. Bruce McKenzie, Director of Marketing and Communication at Edison State Community College and Matt Buehrer, local Thrivent Financial Associate each presented a check for $5,000 in support of the TCAAC’s annual Canal Music Fest. JJ Slanker, Canal Music Fest Chair, accepted the checks on behalf of the event and said, “We are so fortunate to have this type of support from area leaders. We certainly could not do this without them”. 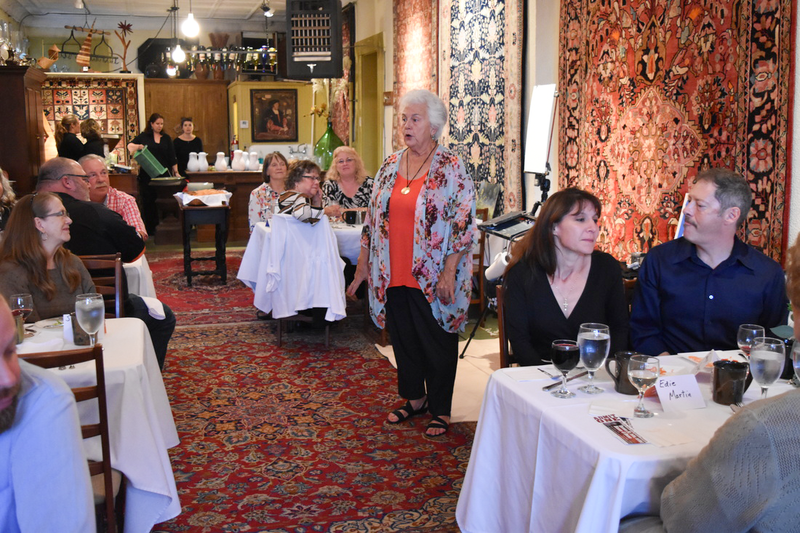 Marilyn Richards from the Tipp City Area Community Foundations presented a check for $2,000 in support of the TCAAC Children’s Art Adventure programs. 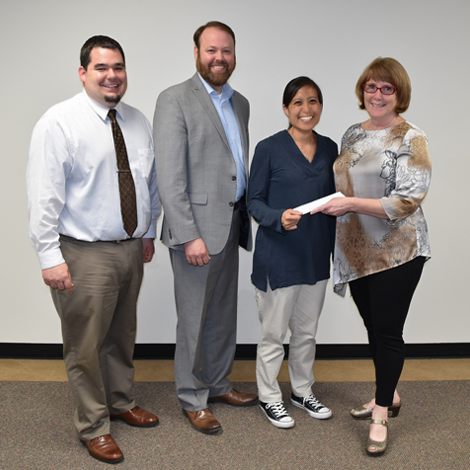 Renee Matsunami, Chair of the Children’s programs was on hand to accept the generous donation. This is not the first time that these local organizations have supported the TCAAC. 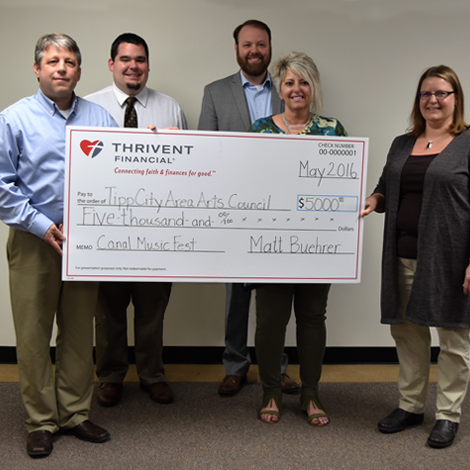 Edison State and Thrivent Associate Matt Buehrer are returning presenting sponsors of the Canal Music Fest and the Tipp City Area Community Foundations has donated to the TCAAC on multiple occasions.